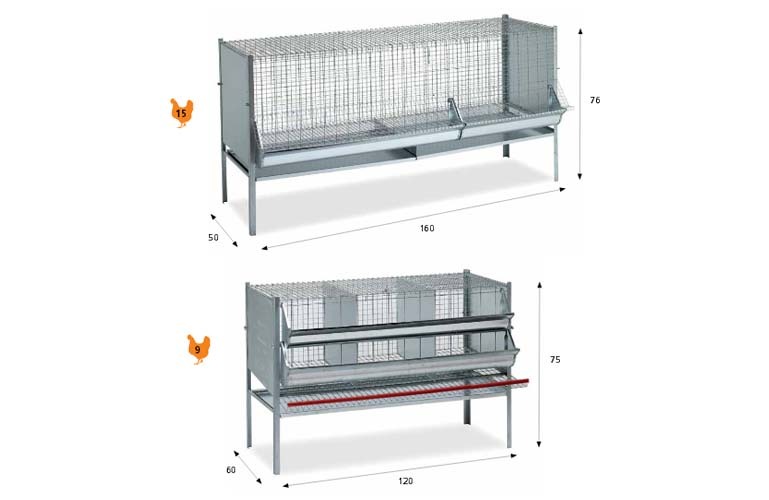 Our poultry cages are designed to meet any requirement of smallholders with the aim to rear birds/fowl at home or into the garden. 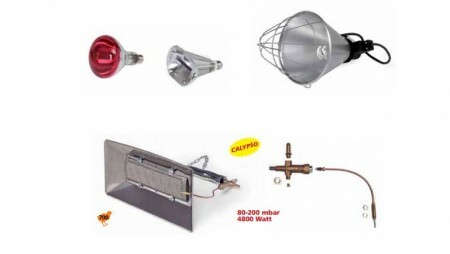 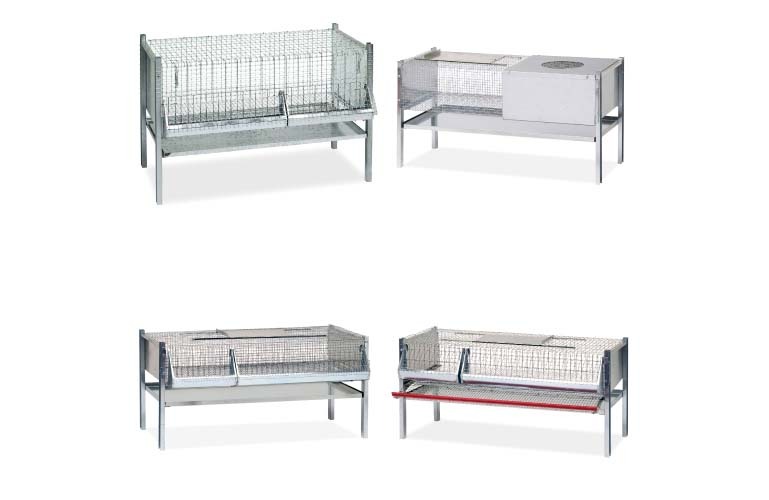 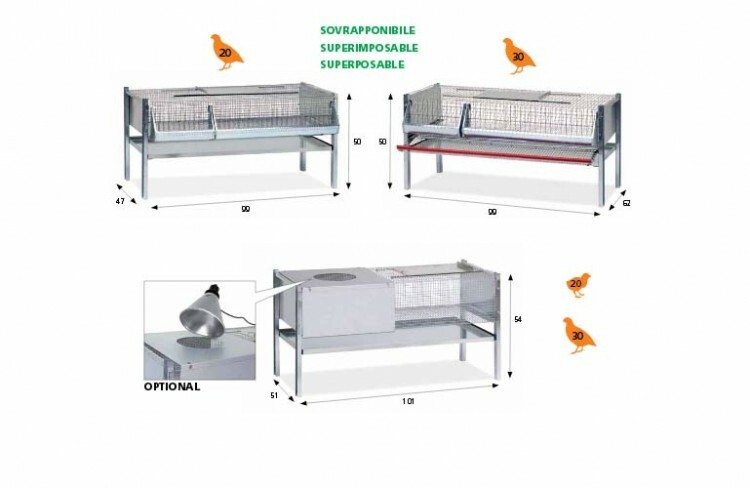 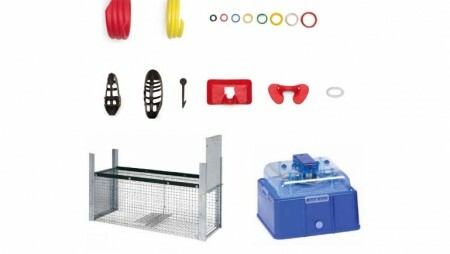 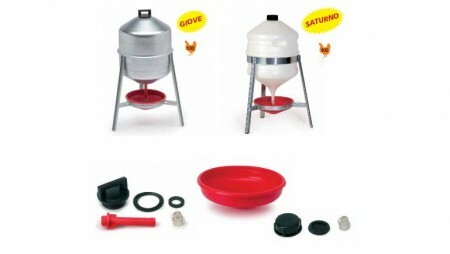 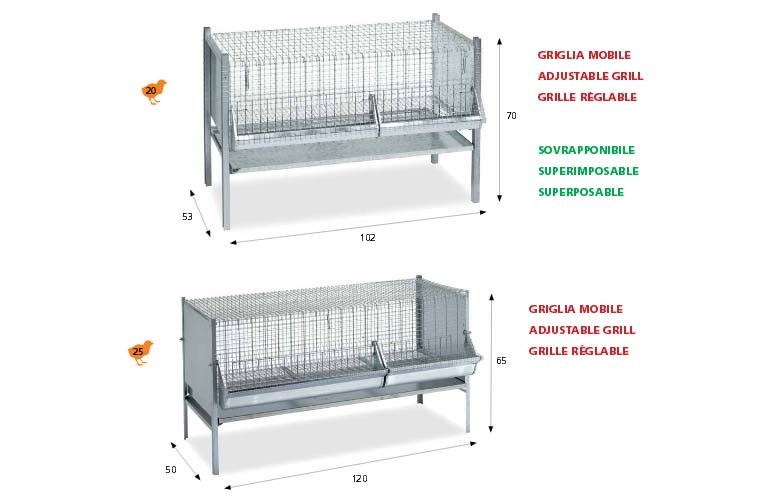 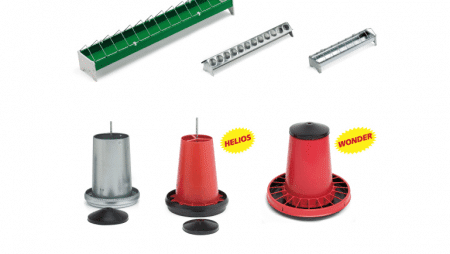 We supply a variety of models: brooder cage (after your hatching eggs), for chicks weaning, for chicken and fowl fattening, for layers, for quails (both for layers and fattening). 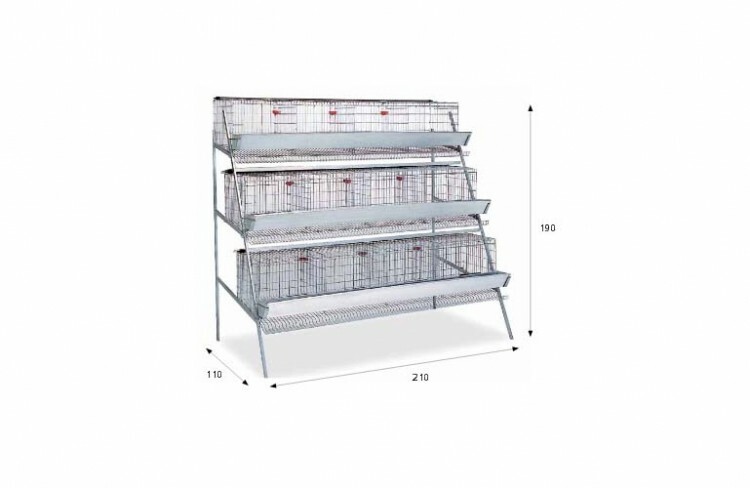 They are SUPERIMPOSABLE, useful and durable, easy to assemble and, since supplied packed per complete set into a carton, practical and valid most of all for traders, shops and retailers.